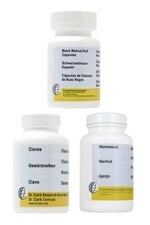 In this category we have prepared a short-list of probiotics, vitamins, minerals, herbs, amino acids and enzymes that have traditionally been used to support the normal healthy functioning of the digestive system. The list includes some naturopathic cleanses designed by Dr Hulda Clark ND, as well as a broad selection of enzymes to support digestion, and probiotic bacteria products to support the normal gut flora and microbiome. Anti-Diarrhoea (120ml) by Mountain Meadow Herbs is a blend of herbs traditionally used to help support gastrointestinal health. Ingredients: Vegetable glycerine, distilled water, approx. 5% organic grain alcohol, Ginger root, Red Raspberry leaf, Bayberry bark, Barberry root bark. Adults and children 12 or more years of age : 1/4 teaspoon* in water 1-4 times daily or as needed (within reason). 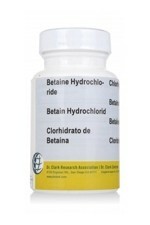 Ingredients: Betaine hydrochloride 350mg, organic rice flour, gelatin capsule. 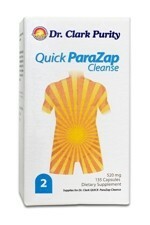 Adults and children 12 or more years of age: 1-2 capsules daily with a meal or as directed. 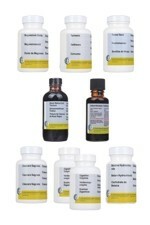 Dr Clark Zentrum manufacture all their supplements according to the strict protocols of Dr Hulda Clark, with utmost care and attention to detail, to provide you with the purest possible supplements. Ingredients: Freeze Dried GREEN Black Walnut Hulls (Juglans nigra) 150mg, Peppermint leaves (Mentha piperita) 150mg, gelatin capsule. 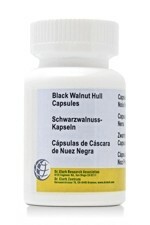 Adults and children 12 or more years of age: 1 capsule daily or as directed. Dr Clark Zentrum manufacture all their supplements according to the strict protocols of Dr Hulda Clark, with utmost care and attention to detail, to provide you with the purest possible supplements. Ingredients: Distilled water, approx. 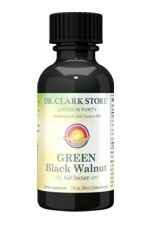 50% grain alcohol, Green Black Walnut Hulls (Juglans nigra), vitamin C. Adults and children 12 or more years of age: 2 tsp in ¼ cup of water or as directed. After first opening, use within 3 weeks. Dr Clark Zentrum manufacture all their supplements according to the strict protocols of Dr Hulda Clark, with utmost care and attention to detail, to provide you with the purest possible supplements. 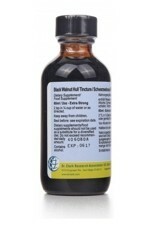 GREEN Black Walnut Hull Tincture Extra Strength 30ml. Green Black Walnut Hull gets its name from the fact that the black walnuts are harvested from the tree while they are still green. 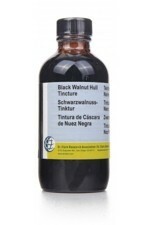 The green tincture from the black walnut tree is an Extra Strength formula and far surpasses the potency of many other black walnut tinctures available. Ingredients: Water, Grain alcohol, Green Black Walnut Hulls (Juglans nigra). 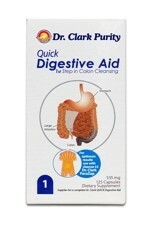 This product is produced by a manufacturer approved by Dr Hulda Clark, ND.